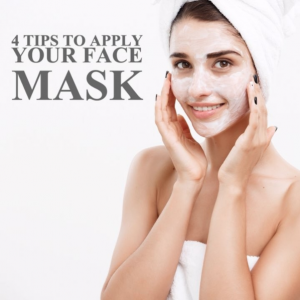 There are many things we can do to keep up with our face skin care, one of those is using masks. 1) Apply mask after shower. The steam will turn open your pores, making your fave more susceptible to all the good ingredients in a mask. 2) Use the right tools. A simple, soft bristle brush to use just for your face . Don’t forget to wash the brush after every use and make sure it’s dry before storing. 3) Wash the mask off with lukewarm water to break down the product and safely remove the mask from your skin. 4) Apply a toner afterward. Follow us to keep up with the latest on beauty and skin care tips!